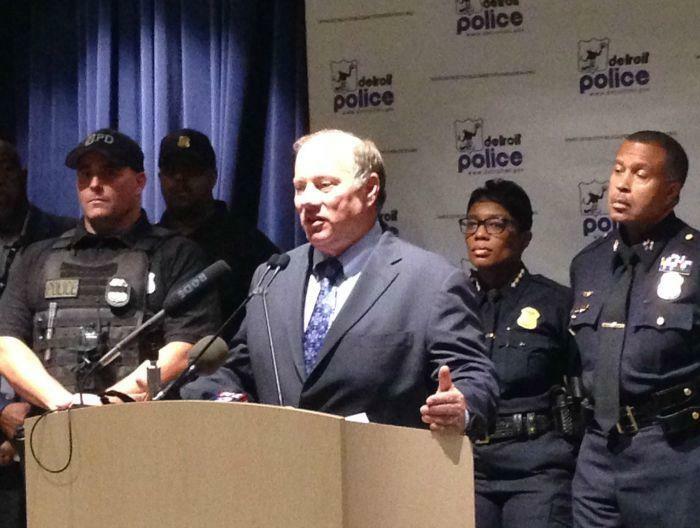 Detroit Mayor Mike Duggan and Police Chief James Craig announced plans Tuesday to outfit all DPD officers with body cameras. The Detroit Police Department says it's moving forward with plans to put body cameras on all officers. All marked police vehicles will have dashboard cameras too. Last spring, the DPD announced a 90-day pilot program to test several body cameras in the field. Mayor Mike Duggan said the 20 officers who volunteered to be part of the program concluded "the technology works." "The city of Detroit (wants) to build a police department where every officer-citizen interaction is recorded," Duggan said, "We believe that's the best way to hold people accountable who do something wrong and the best way to quickly exonerate people who are falsely accused." DPD says it will start rolling out the new body cams in early 2016 and will have all officers outfitted within three years. The department also plans to install dashboard cameras in all 409 of the city's marked patrol cars within the next 12 months. Currently, only about half have fully functioning dash cams. This fall, officers will test a system that integrates the two sets of cameras and allows for easy comparison of the footage. Police Chief James Craig says he's "extremely excited" for the new technology, which he says will bring more transparency to the department. "It's no secret when you look across the nation, many departments and cities are grappling with (their) relationship to the community because of, in many respects, the absence of transparency," Craig said. Duggan said federal grants and funds from the police capital budget will cover the nearly $3 million needed to implement the new body camera systems. The new dash cameras will cost about $350,000, which Duggan said is already in the police budget. A camera vendor has not yet been selected. Special Operations Officer John Siejutt took part in the initial 90-day pilot program. He called it an "eye-opening experience." "Everybody's out there with a cell phone, so why not tell your own story of what really happened at a scene? If someone makes an allegation, you can say, 'We have video. This is what truly happened," he said. 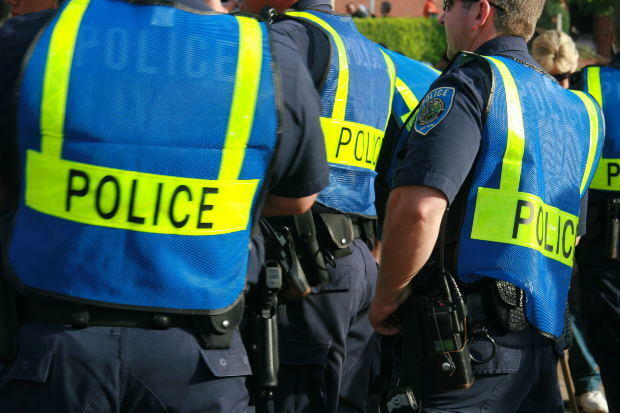 All Michigan police would have to wear body cameras under a new bill in Lansing. While several police departments around the state already have body cameras or are planning to adopt them, State Rep. Rose Mary Robinson, D-Detroit, is sponsoring a bill that would make them universal. U.S. Customs and Border Protection (CBP) has announced it will start testing body cameras on agents in the field. The first phase of the feasibility study took place in the border agency's training academies from October through December 2014. CBP says its goal is greater transparency and accountability. A Detroit police officer is accused of knowing about a conspiracy to commit murder, then lying to investigators about it. A one-man grand jury indictment unsealed Monday lays out charges against Officer Elijah Lately. Lately is accused of knowing about a plot to murder a witness in another criminal case. 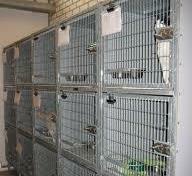 A dog’s death at Detroit’s animal control shelter is sparking renewed calls to overhaul the facility. The dog died of the highly-contagious parvovirus, after its owner and staff found it in grave condition at the shelter. Animal control officers had been holding the dog after it reportedly bit two people. The Detroit Police Department says it will review its vehicular pursuit policy, following a crash earlier this week that killed two young children. The six- and three-year-old were standing on the sidewalk in their east side neighborhood when a car fleeing police careened onto the sidewalk and struck them. The Grand Rapids City Commission unanimously decided this morning to approve requiring city police to wear body cameras. 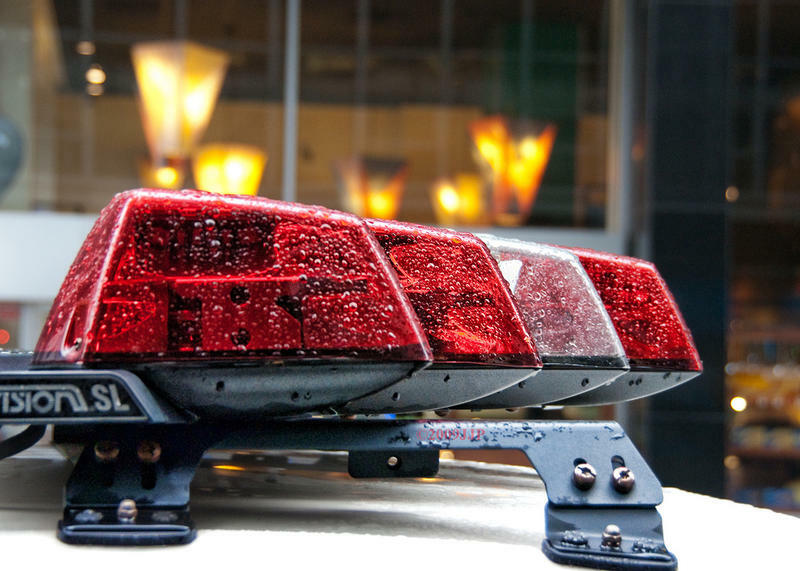 Michigan Radio's West Michigan reporter Lindsey Smith says the decision is part of a $1.5 million public safety plan that was unveiled earlier this month. The plan also includes hiring more police officers, a study of racial profiling in the area, and creating more inclusive hiring practices for the city, according to Smith. Kalamazoo Public Safety Chief Jeff Hadley says he’d like all of his officers to wear body cameras by 2016. Hadley has some concerns about citizens’ privacy and the costs, but he thinks the cameras will be worth it. The police shooting of Michael Brown in Ferguson, Missouri and the death of Eric Garner while being arrested in New York City have fired up the conversation about body cameras for police. 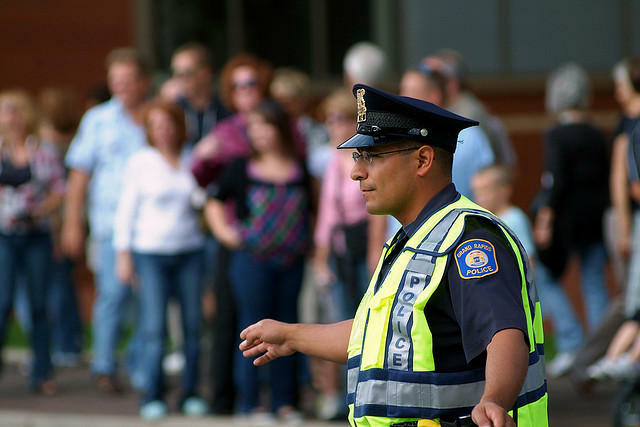 Ann Arbor, Ypsilanti and Lowell in Kent County are all beginning to outfit their officers with body cameras. Grand Rapids police are seriously considering them. But there are a host of challenging privacy issues being uncorked here. 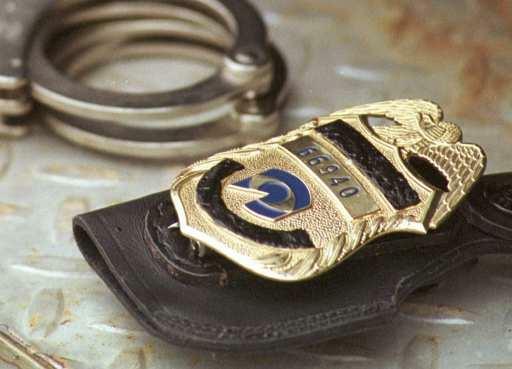 The Lansing Police Department announced today it will begin a body camera pilot program. Lansing Police Chief Mike Yankowski says the department has been considering body cameras since 2013.